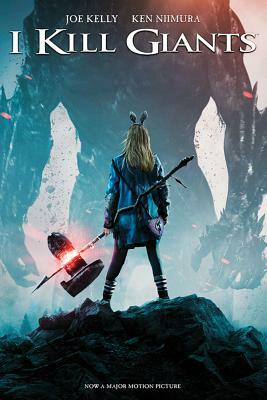 I Kill Giants tells the story of Barbara Thorson, an acerbic fifth-grader so consumed with fantasy that she doesn't just tell people that she kills giants with an ancient Norse warhammer -- she starts to believe it herself. The reasons for Barbara's troubled behavior are revealed through the course of the book, as she learns to reconcile her fantasy life with the real world. In 2012, I Kill Giants writer Joe Kelley and artist J.M. Ken Niimura received the International Manga Award, an honor given by the Japanese Foreign Ministry to an outstanding comic book or graphic novel.